KPFA Weekend News Anchor Cameron Jones: Much of the world focuses on family and creating safe and loving environments for children during the holidays, but many of the world’s children suffer extreme deprivation and abuse of their human rights. 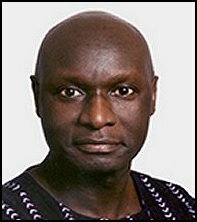 On New Year’s Eve, KPFA’s Ann Garrison spoke to Olara Otunnu, a Ugandan lawyer and human rights advocate who has been president of the International Peace Academy, U.N. under-secretary general and special representative for children and armed conflict, and president of the LBL Foundation for Children, based in New York City. KPFA/Ann Garrison: Olara Otunnu, internationally known advocate for human rights and especially for children in armed conflict regions, returned to Uganda this year to become the presidential candidate of the Uganda People’s Congress, one of the country’s leading opposition parties. He is running against Yoweri Museveni, Uganda’s president for the past 24 years. He spoke to KPFA from Uganda’s capital, Kampala. KPFA: Can you describe what the holidays have been like for children living in the world’s armed conflict regions? Olara Otunnu: Well, millions of children who have been caught up in situations of war, they would be today not in homes, not with their families perhaps, but in camps for displaced persons or for refugees. Instead of having a feast and celebrating, they most likely would be anxious, afraid of what is to come. They would be struggling and worrying about mere survival. Here in Uganda, a celebration of Christmas and New Year’s is not very different, perhaps, from other parts of the world here in the capital, but that is not the case in the countryside, where there is extreme and humiliating poverty, and it certainly isn’t the case elsewhere in the world, including in parts of Uganda, where children and families have suffered terribly from armed conflict. 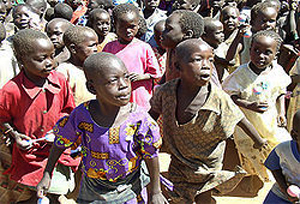 KPFA: Is there armed conflict in Uganda now or are children suffering the consequences of conflict which has subsided? 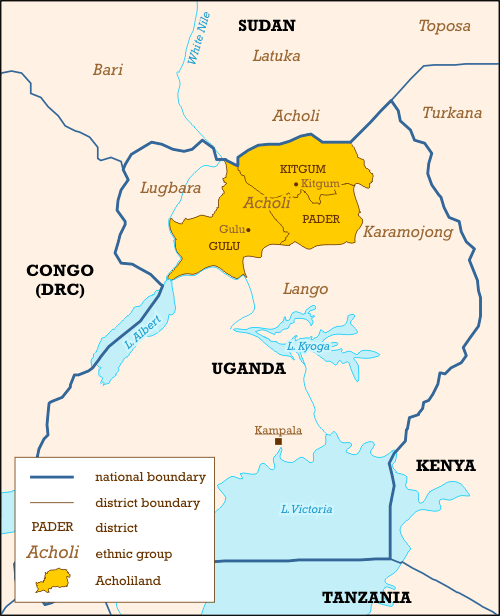 Olara Otunnu: Well, between 15 to 20 years, the northern part of Uganda, especially the Acholiland, it was sheer hell. The government of Mr. Museveni herded 2 million people into 200 concentration camps for the better part of 20 straight years, in such abominable conditions people were dying at a rate of 1,500 a week. The society, the culture, the family structure, education systems – everything has been destroyed. What was done in Northern Uganda by the Museveni regime is probably the most comprehensive genocide in recent times. But within Uganda, the concentration camps finally, for the most part, were dismantled last year. But after 20 years in the concentration camps, the survivors are completely lost. They’re deeply traumatized. The society is collapsed. KPFA: What would you say to Barack Obama, Secretary of State Hillary Clinton and the American people about the support that our government has given to Yoweri Museveni since the Bush war which brought him to power? Olara Otunnu: It’s a very painful issue. The incredible support and sponsorship that democratic governments, in the West particularly, have provided to Museveni over 25 years, even as genocide was going on in Northern Uganda, even as we had torture chambers littered throughout the country, even as the level of plunder of Uganda, the level of corruption by Museveni, his family, his ministers is such as I’ve never seen anywhere before, even as Museveni invaded the Congo and plundered the Congo. It’s a matter which, I can only say, requires a lot of soul searching on the part of the West. KPFA: Olara Otunnu, thank you for speaking to KPFA. Olara Otunnu: Thank you so much. KPFA: A longer conversation with Olara Otunnu is available at AfrobeatRadio.net. For Pacifica/KPFA Radio, I’m Ann Garrison. San Francisco writer Ann Garrison writes for the San Francisco Bay View, Global Research, Colored Opinions, Black Star News, the Newsline EA (East Africa) and her own blog, Ann Garrison, and produces for AfrobeatRadio on WBAI-NYC, Weekend News on KPFA and her own YouTube Channel, AnnieGetYourGang. She can be reached at ann@afrobeatcom. This story first appeared on her blog. Ann, that was a great interview with Ambassador Olara Otunnu. In fact, the interview gave us the insight of what is going in Uganda in many ways. Post conflict, pre-election 2011 and current economic problem and the government's lack of accountability, enforcing corruption.